Jason "Razor" McCoy didn’t want much out of life. He was happy being a tattoo artist and having an occasional hookup. To him, life was good. However, everything comes to a halt when he is notified of his brother's death. As if that wasn't enough, a small woman blows into his life, leaving him no other choice but to think fast on his feet. Faith Hillman, a computer analyst by trade, does her best to stay below the radar when her job with a high-tech computer company puts her life in danger. When her partner and friend goes missing, she risks everything to find the one person who could help her—his brother. Two people thrown together, each for separate reasons, find they must work together toward a common goal. 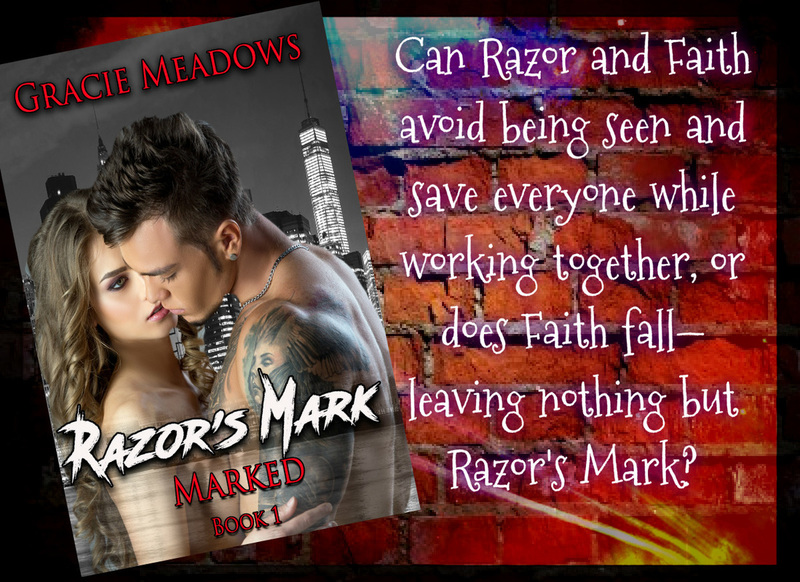 After calling in all their resources, can Razor and Faith avoid being seen and save everyone, or does Faith fall—leaving nothing but Razor's Mark?